Helton Creek Falls near Georgia’s Vogel State Park is becoming one of my favorite destinations. It is far enough off the beaten path that you can take your time and really enjoy your surroundings without dealing with lots of distractions. This panorama was created by stitching 7 portrait oriented images in PS5. All other adjustments were made in LR4. I’ve grown very comfortable with LR4. It is much more powerful than its predecessors. I know PS is more powerful than LR. But, the delta between the two has been closed so significantly that I prefer to make any color, contrast or sharpening exclusively in LR. This image was captured using my stellar 16-35mm f/4 tripod mounted. As always, thanks for visiting. 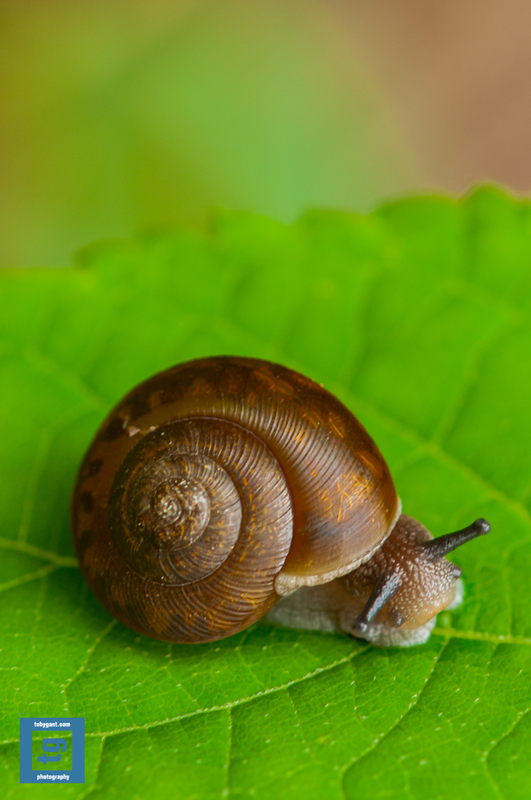 Gary: Portrait of a Snail. As always, thanks for stopping by. Please feel free to leave your thoughts.